We are a family-owned business committed to excellence in commercial real estate within the greater Portland market. We have the unique ability to move quickly and expertly to get your business into the right space and to serve you promptly and professionally once you’ve moved in. Founded over thirty years ago, our roots run deep. We have a broad network of contacts and resources that enable us to provide the most responsive service in town. Business owners consistently turn to us for the best service and financial value. We have earned our reputation for being responsive and trustworthy, and we work every day to meet and exceed the expectations of our customers. 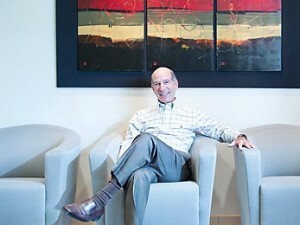 Barry Menashe has a sixth sense about Portland real estate. Making lightning-fast decisions “comes very naturally,” he says. So he hones in on the right properties at the right time. Combine deft business reflexes with his obsession of staying organized, and you’ve got one super-productive leader. “Getting things done is what I live for,” he says. His buttoned-up approach extends to Menashe properties – he’s passionate about keeping spaces pin-straight and clients happy.